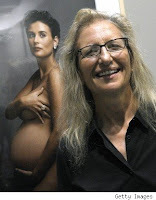 Celebrity photographer Annie Leibovitz nearly lost the copyrights to her famous photography as a result of her default on a $24 million loan. Art Capital Group (“ACG”), the lender, sued Leibovitz back in July due to breach of contract of their agreement. As collateral, Leibovitz used her real estate assets and the copyright to every photograph she has ever taken. ACG estimated that the value of her intellectual property is approximately at $40 million in addition to $40 million in her real estate. Luckily for her, she was granted an extension to repay the $24 million and ACG seems to be in agreement and is cooperating with Ms. Leibovitz. Hopefully she will get herself out this one so we can see more of her great work. It may be a coincident. The same idea can happen in two different photographer's mind and it should not be necessarily a copyright infringement. Mr.Paolo Pizzetti should end the law suit.